Now these stocks are likely to be unwound, as oil prices return to more normal levels with Iran and Iraq (and probably others) ramping up production just as demand weakens seasonally. 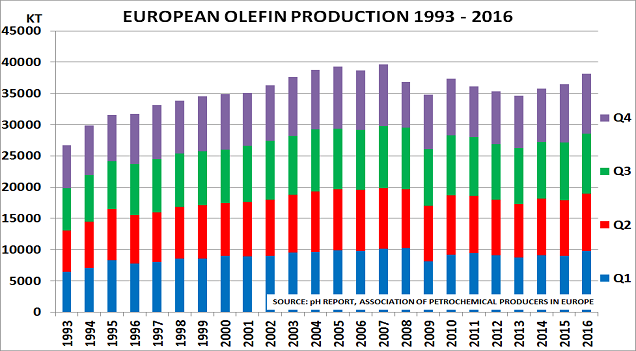 In turn, this is now starting to pressure the US market, as these producers seek to replace lost volumes. US imports from both regions have jumped to 25kt this year from 9kt in January-March 2015 (US Customs data is a month later than China’s). 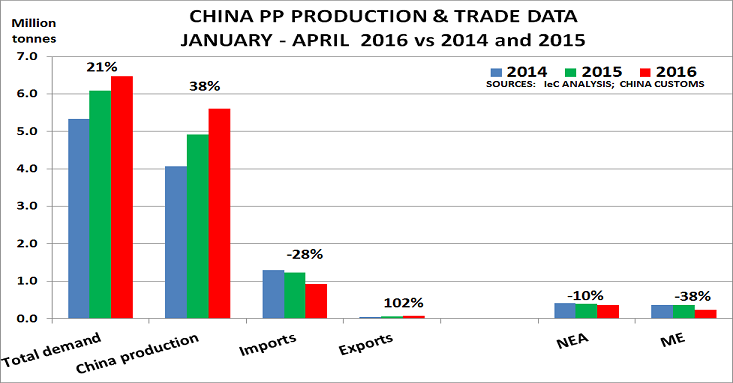 There are likely to be further increases through the year as China’s imports continue to reduce. A further problem was a further 25kt of PP imports from Latin America – up from just 1kt in 2015 – as China’s slowdown forces LatAm producers to seek new markets. Unfortunately, US demand is also slowing, and so US inventories are now back at April 2013 highs. As suggested 3 months ago, a major battle for market share is now developing, with US prices for PP starting to tumble. 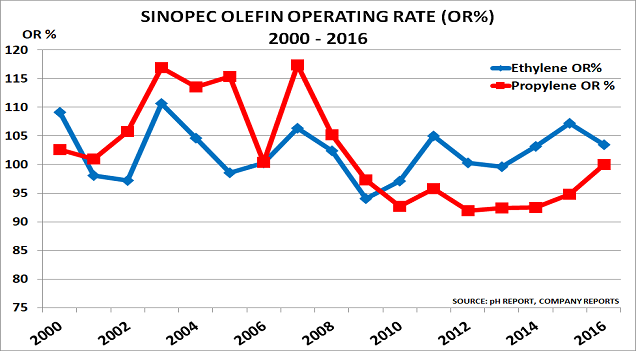 Contract prices fell 4c/lb ($88/t) in May after a 3c/lb fall in April, and ExxonMobil have told customers its prices will reduce by 3c – 5c/lb in June. 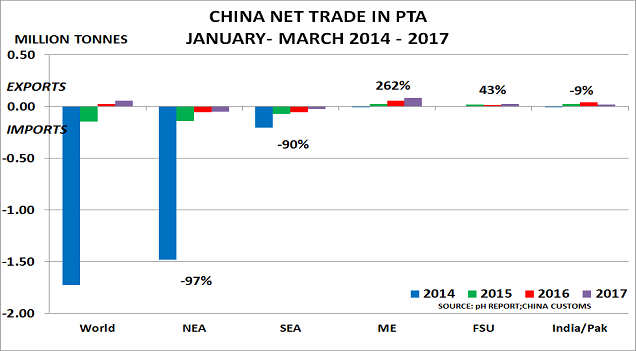 Europe is seeing a similar reversal of trade patterns, with Middle Eastern and NE Asian imports each up 20kt in January-February versus 2015 (Europe’s trade stats are even slower to appear than the US). And worryingly, many market players have failed to understand the extent of the downward pressures, with respondents to the latest ICIS sentiment index expecting a “sustained period of bullishness”. I fear they have a nasty shock ahead of them. 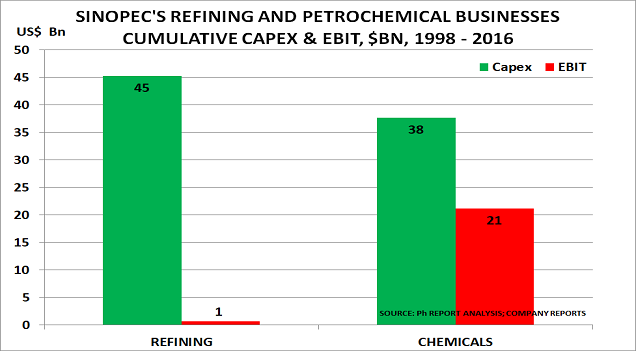 The problem goes far deeper than just PP, of course, as the second chart shows. 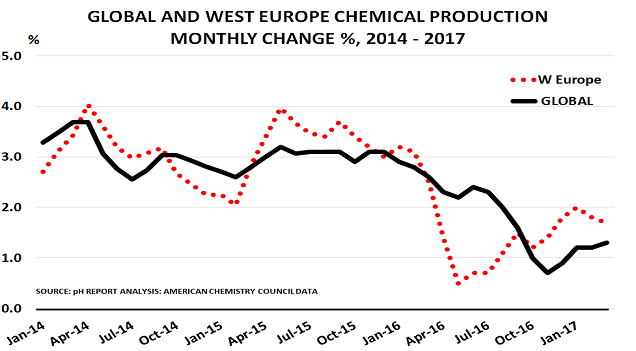 European contract propylene prices have fallen sharply in H1 versus ethylene, averaging just 69% of the C2 price – a level last seen nearly 20 years ago. 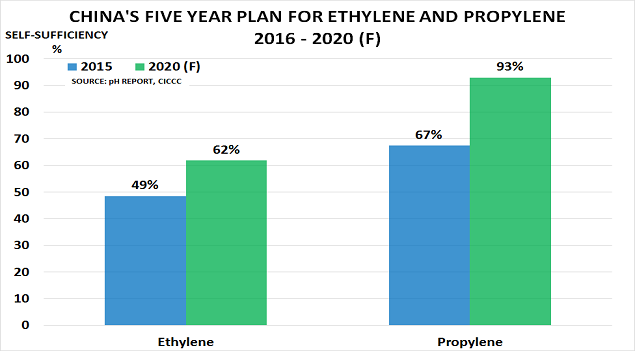 Already, as I found when giving the keynote presentation at last month’s World Polyolefins Conference, convertors are starting to think about switching from other polymers to PP in certain applications. 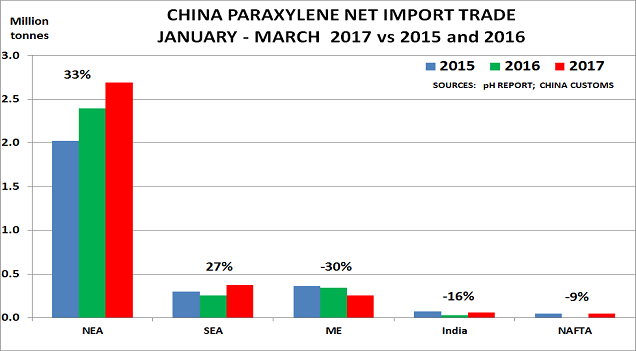 This is bound to put further pressure on polyethylene (PE), where China’s import volume has also fallen so far this year. It was down 3% versus 2015, whilst China’s production was up 6% – and overall demand up just 1%. The slowdown couldn’t be worse timed, as the first of the major new US capacities will be online in less than a year. Unfortunately all my warnings have been lost in the recent euphoria – understandably, everyone wanted to instead believe that demand was returning to pre-2008 SuperCycle levels. But hope is not a strategy. The good news is that our new Study, Demand – the New Direction for Profit, is now available to guide you through the difficult times that likely lie ahead. I honestly believe that buying it could be the best decision you make all year.